In spite of French-sounding title, the band says it means "We haven't got a chance". Also, the "Á" acute-accented letter shown on the cover does not exist in the French language, though the grave-accented "À" does. Due to a printing mistake, only the last two paragraphs of the lyrics of A Badtime Story can be found in the booklet. 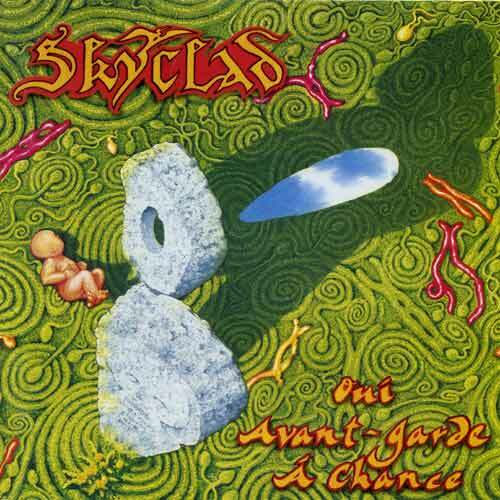 Produced by Kevin Ridley and Skyclad. Recorded at Parr Street Studios (Liverpool) and Jacobs Studios (Surrey). Mixed at Parr Street by Kevin Ridley and Pete Coleman and at Jacobs by Kevin Ridley.